Sapphire Tab Tensioned Electric Projector Screen With Handheld Infra Red Remote Control And 10m Trigger Cable. IF YOU ARE LOOKING FOR A HIGH END PROJECTION SCREEN WITHOUT THE PREMIUM PRICE THIS STYLISH TAB TENSION SCREEN WILL BE A FANTASTIC ADDITION TO YOUR SET UP. 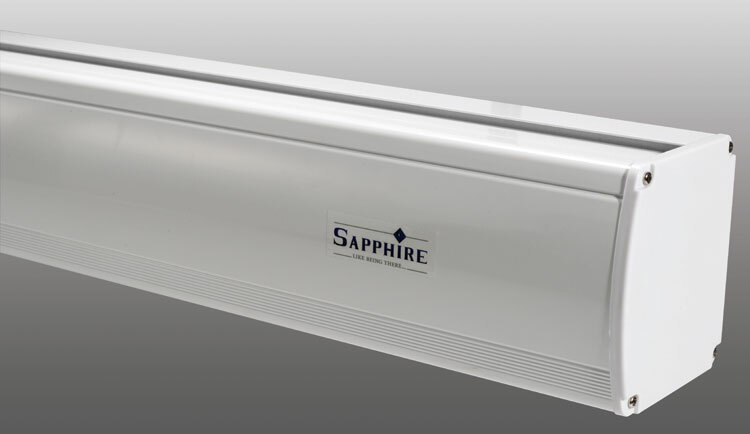 All Sapphire Screens are supplied with a picture enhancing black border which will frame the image for an excellent viewing experience. The Screen is supplied with an Infra red remote control and IR extender so that the screen can be recessed or hidden out of sight. 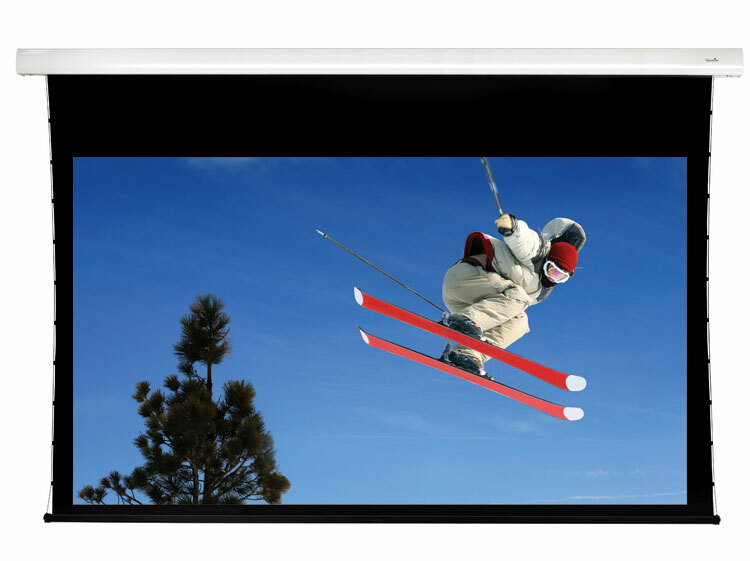 Sleek white aluminium casing will allow a discreet installation in any environment. 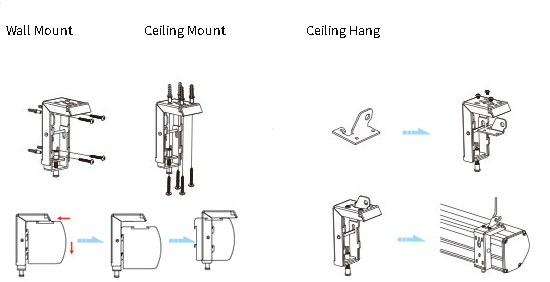 Channel fix brackets allow the Screen to be wall or ceiling mounted at any position along the casing. Excellent Quality - We stand by the quality of our products by offering an outstanding 5 year warranty. The fabric used is a special designed PVC material to help capture a flawless and outstanding image. 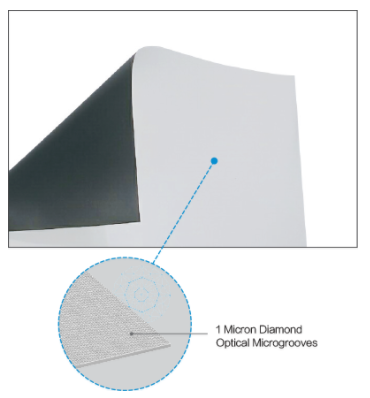 The screen is coated with micron diamond optical microgrooves to help produce a 4K resolution. This screen can be wall or ceiling mounted. The channel fix brackets are designed for a one man installation and can be situated anywhere along the profile of the casing. For example this means that the brackets can be positioned central to the casing if you wanted to install on a chimney breast.